Monteverde Guesthouse, your corner of paradise at one of the most famous monuments in the world. 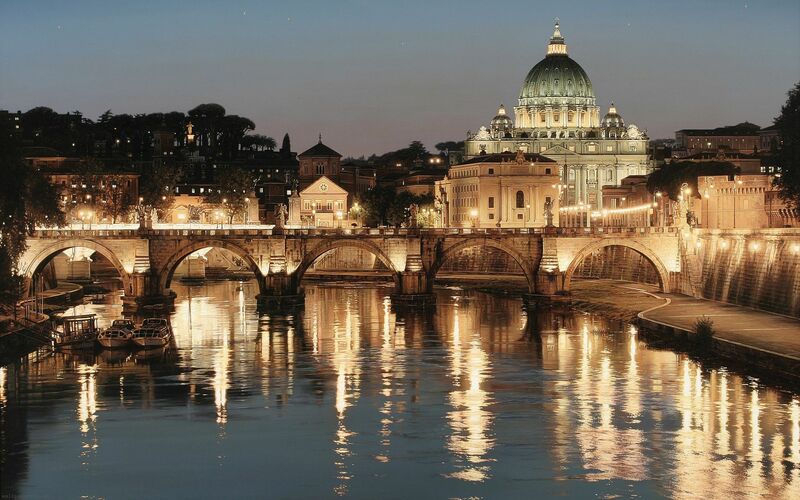 It's a perfect place to enjoy sunsets and admire an amazing view of St. Peter's dome that will seems to appear out of nowhere. The large and comfortable living room / dining area (50 meters squared) allows guests to have breakfast, lunch and dinner all together. The kitchen is fully equipped and furnished with all the comforts of home: induction stove - oven - microwave - washing machine - wine cellar - Italian and American coffee machines - toaster - refrigerator and freezer. The large and comfortable living room / dining area (50 meters squared) allows guests to have breakfast, lunch and dinner all together. (The tables are adjustable). The living room includes a large, comfortable designer sofa with a LED illuminated tree sculpture designed by a famous Italian interior designer. Large bright windows will help you enjoy the beauty of the garden always in bloom during the spring and summer. There's also a large satellite TV and air conditioning. The living room leads directly to the large private garden which is on two levels. 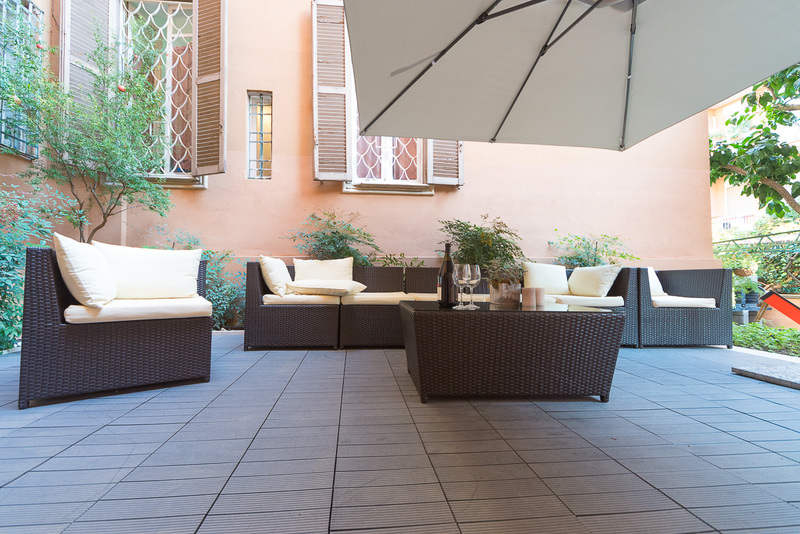 The first includes an intimate lounge area with confortable outdoor seating and umbrellas; perfect for relaxing, sunbathing or enjoying an aperitivo. The lower level can be used as a lunch / dinner area where you can have a barbeque under a beautiful rose garden with a table for 10. You can also have fun playing table tennis, table football or basketball AND GARDENING FOR KIDS. 2 bikes are available free of charge and there is a direct entrance from the garden to the road. High chair, cot, changing table, stroller, children's TV channels, picnic area in the garden, toys and books for little children. Free of charge on request. The Junior Suite is the largest room, with more than 215 square feet of space. The high ceilings and two windows with a view of the garden provide further comfort to this room, which is decorated with elegance and sophistication. Thick walls ensure absolute silence during the night. The Japanese Room (194 ft2) is entirely inspired by Japanese style. A large oriental bed of 79in x 79in distinguishes the space, while beige and orange tones adorn the upholstery and decorative elements. The high ceilings (more than 13 feet) and thick walls guarantee absolute silence during the night. The Vespa Room (172 ft2) has a large door at the entrance, which is decorated with mirrors. The design is dedicated to the iconic Italian brand “Vespa,” original historical objects of which are exhibited in the room. The high ceilings (more than 13 feet) and thick walls guarantee absolute silence during the night. The spacious King-size bed is 71in x 79in. The Pop Room (172 ft2) is done in a minimalist lounge style. The prevalence of white and essential furniture lines confer a certain spaciousness and elegance to the room. The high ceilings (more than 13 feet) and thick walls guarantee absolute silence during the night. The spacious Queen-size bed is 62in x 79in. 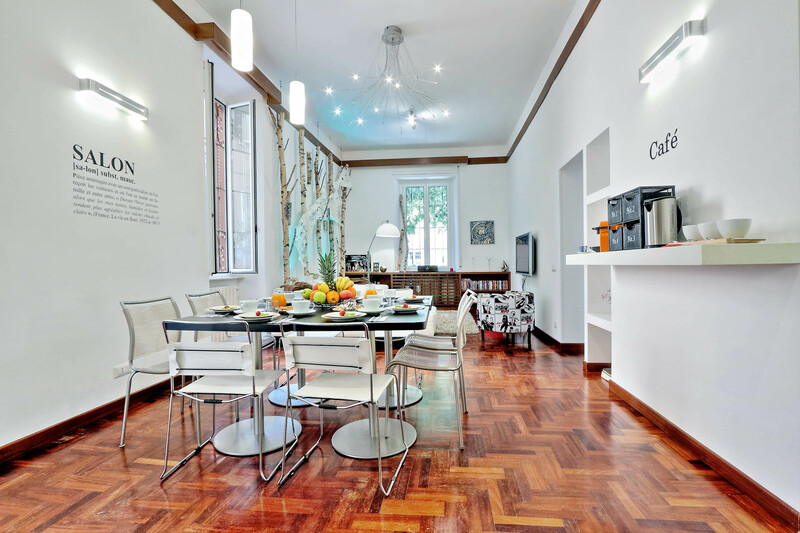 Monteverde is a green and elegant neighborhood in the Eternal City. 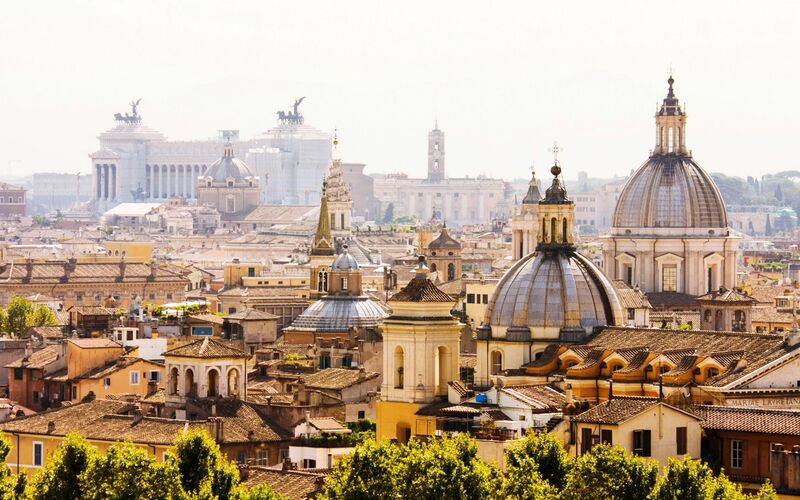 Without a doubt one of the most romantic places in Rome, the Gianicolo hill overlooks the Trastevere quarter extending to the St Peter's Basilica and the Vatican.